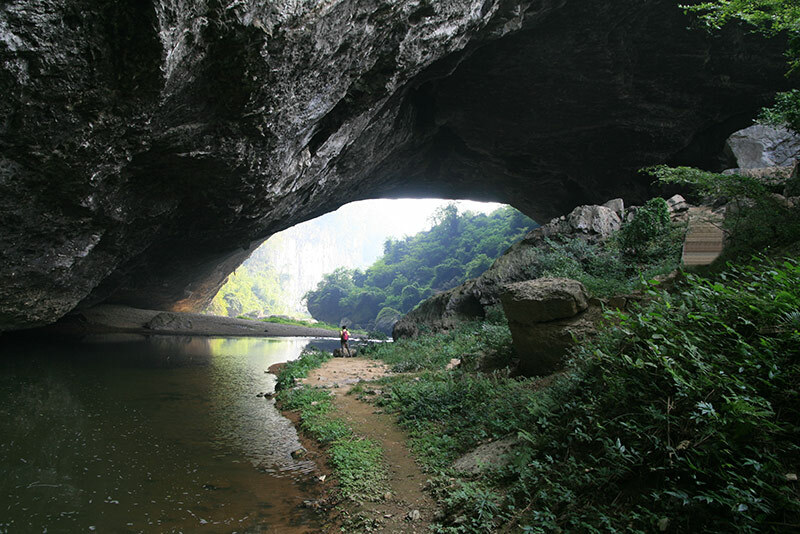 Gaotun Natural Bridge (Tiansheng Qiao) in Guizhou Province, China. Photo by sanwany (click image for larger version). 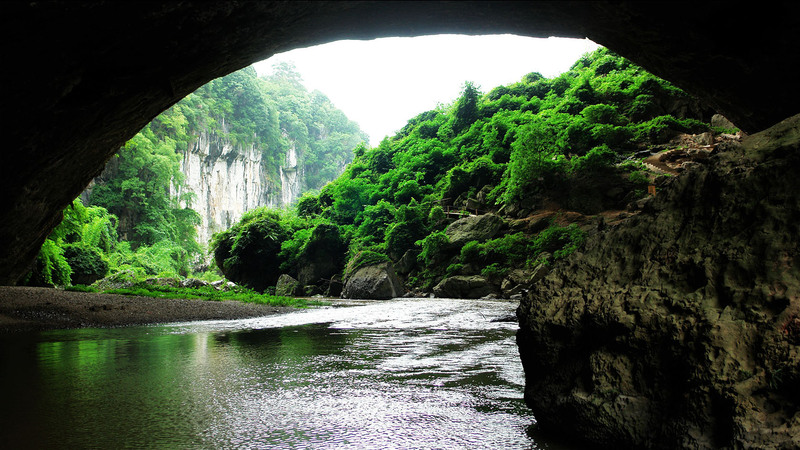 Gaotun Natural Bridge (Tiansheng Qiao) is a waterfall natural bridge eroded through limestone karst by the Bazhou River. It is one of the major attractions of the Bazhou He Scenic Area, an area developed for tourism. It is located near the town of Gaotun in Liping County, Miao and Dong Nationality Autonomous Area, in Guizhou Province, China. Access is via walkways and trails that run through and over the bridge. The span of 240 feet was measured by Gunter Welz on a NABS trip to the area led by Ray Millar in October 2010. A photo by Ray is below. A sign by the bridge states that a poet was moved to write about the bridge: "Such a scene can be seen but in celestial spheres — why has it been moved to here for human eyes?"